There is a direct correlation between visibility and cash now. The battle cry and price setting features of commercial real estate is “location, location, location!” Most prime commercial property is sold by the front linear foot. In other words, it takes a lot of money to be up front and visible to passing drivers. However, an effective sign can place you upfront in visibility even if you are hidden from view. You never get a second chance to make a first impression. Your sign is representative of your business and lets customers see all your features and benefits. An effective sign can make or break you. 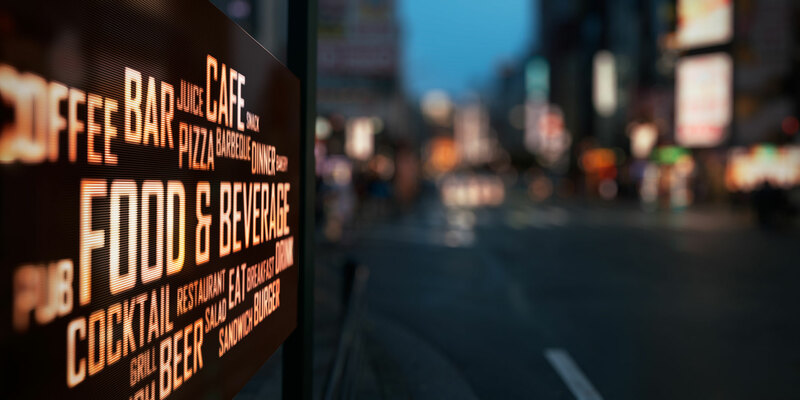 A properly designed sign can create “top of the mind awareness” with the consumer. In other words, when they think of a product or service that you carry, they think of your business first. The repetitive passing of an effective sign creates an instant visual association between the consumer’s need and your business. According to census data, the average yearly turnover is 20% of the customer population base. In small town America, it can be as high as 25%. So, while you may like to say, ‘Everybody knows I am here,” at best this may be only 80% true. A business needs at least a 20% increase in new customers every year just to stay even. Consider McDonalds, why do you think they put the golden arches in front of the smallest volume store in the smallest town in which they do business? The answer is obvious. You don’t get to be the best without constantly reminding every customer, every time they pass by that you are open for business. Many businesses believe word-of-mouth advertising is the best available. According to store traffic surveys of new clients conducted by independent business owners who recently purchased new D’ziner signage, 46% of customers doing business with them for the first time came in because of the business sign. 37% came in because of word-of-mouth. Compare these figures with the newspaper advertising that brought in only 8% of the new customers. Can you put a unique message on your sign every day? Can you tell potential customers “Welcome? Come In!” or “Sale! Today Only!”? Electronic Message signs give you the power to reach out to the many people who pass your business every day and tell them why they should come in to buy your products or services. How many people in your community need your product today? You always have a new and expanding market. This natural expansion is one more reason to tell your story every day. Have you ever been riding down the road, saw a sign, remembered a need that could be met at this establishment turned into the business and made a purchase? How about Costco, Kryspy Kreme. McDonalds or 7/11? Signs create impulse traffic into your business and return those who need your product In the future. Good signage causes people to remember where you are, what you do and how well you do it. Think of your sign as a non-commissioned silent salesperson. How many salary or commission dollars would you have to spend to get your message in the minds of as many people as an effective sign will in a single day? Your sign never calls in sick, never files an unemployment claim, and does not require vacation time, health benefits, counseling, worker’s compensation or a Christmas bonus. A properly designed, quality sign is a vital employee at a fraction of the cost of traditional labor. Traditional advertising can be expensive and results are not guaranteed. Most advertising methods are consumable (TV, Radio, Newspaper and Direct Mail). In other words, you use it today and it is gone. Even the Yellow Pages must be paid continually or you won’t have an ad next year. Your sign is the only advertising form that is not consumed. It is paid for once, will stay on the job for years and is a permanent fixture and an asset of the business. According to the U.S. Small Business Administration, the cost to reach 1,000 adults is as little as 5 cents compared to $3.00 per 1,000 for newspaper advertising. The true bottom line is the return on investment. In considering the cost of a sign, if you consider the profits it will generate, the bottom line becomes “How much money will it make me?” You are in business to maximize bottom line profits. So remember that the net cost of the sign is the price minus profits, tax deductions, community goodwill and many new happy customers. ANY SHORT CUT YOU TAKE IN THE PURCHASE OF THE SIGN MAY REDUCE THE SIGN’S EFFECTIVENESS AND INCREASE THE TRUE BOTTOM LINE COST.